Keeping your family and home safe is top priority and because of that you need to know about our new SmartlockPro® Dual Function AFCI/GFCI Receptacle. This smart new device delivers protection from the hazards of both electrical fires and shock by providing arc-fault and ground fault protection. If either hazard is detected the device quickly cuts off power. Most homeowners are very familiar with GFCI (Ground Fault Circuit Interrupter) Receptacles since they have been around for quite some time. These receptacles with the Test and Reset buttons are used in areas where there is a water source such as bathrooms, kitchens and outdoors near pools and hot tubs.They are engineered to detect hazardous ground faults and respond by interrupting power to protect people from shock or electrocution. Newer to the scene are AFCI (Arc Fault Circuit Interrupter) Receptacles. They look similar to GFCIs but offer very different protection. AFCIs help protect your home from electrical fires that could result from arc-faults by detecting potentially hazardous arc-faults and quickly cutting off power. They should be installed in all living areas such as bedrooms, living rooms and hallways. 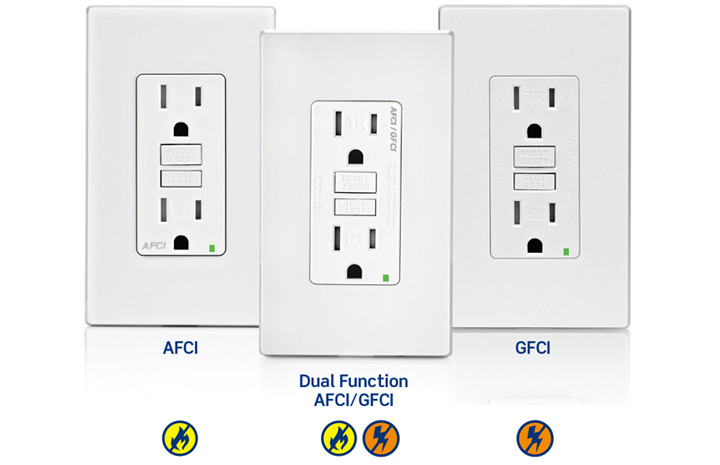 The Dual Function AFCI/GFCI Receptacle combines the important safety features of AFCIs and GFCIs. It is a single device that can distinguish between a trip caused by a ground fault and a trip caused by an arc fault; helping to protect both your home from electrical fire and your family from shock. 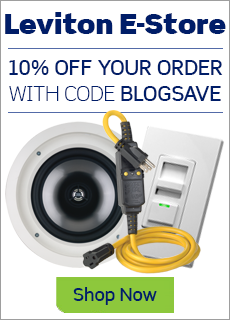 It is ideal for kitchens and laundry rooms as well as for extensions, modifications and as a replacement option for ungrounded outlets in any area of the home. 1. National Fire Protection Association website. 2. Electrical Safety Foundation International (EFSi) website. 3. Electrical Safety Foundation International (EFSi) study.